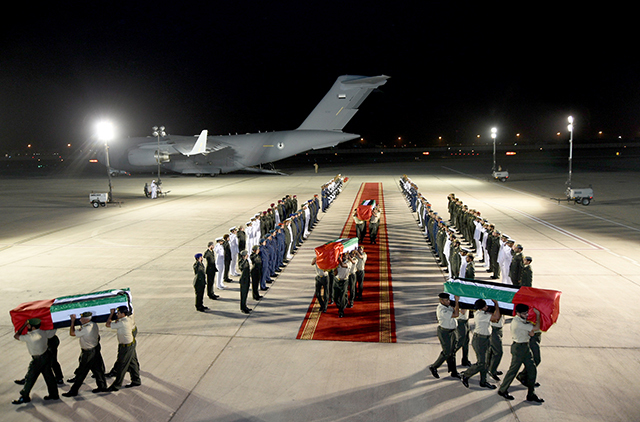 Senior Armed Forces officers held a special military ceremony at the airport to mark the return of the martyrs' bodies. 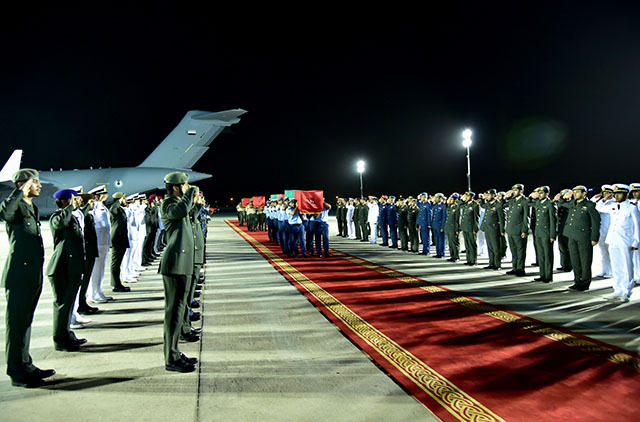 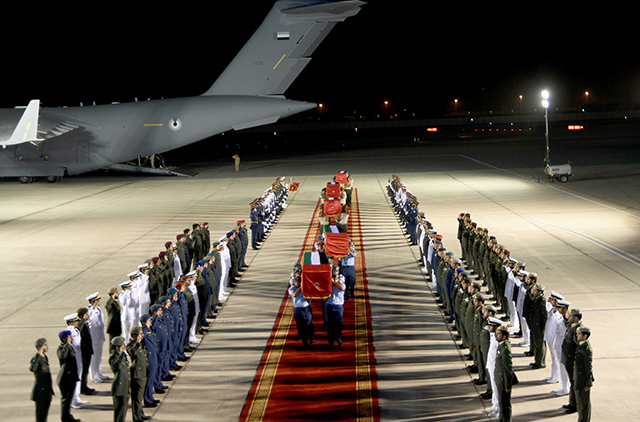 The General Command of the UAE Armed Forces on Friday mourned the soldiers who were killed in the line of duty during 'Operation Restore Hope', under the Saudi Arabia-led Arab alliance to support the people of Yemen and their legitimate government. 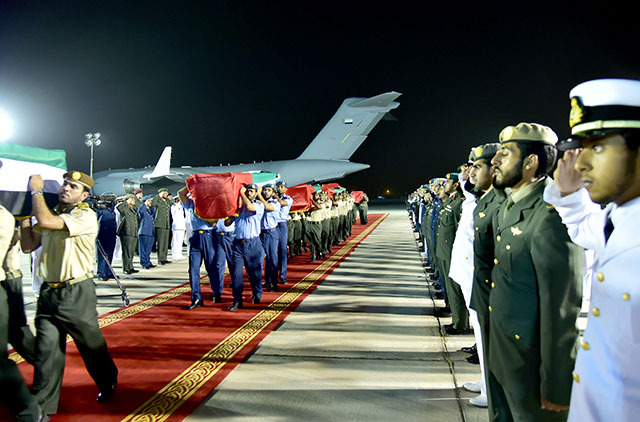 Earlier, the number of UAE soldiers martyred in Yemen rose to 45 after 23 more soldiers succumbed to their injuries taking part in the Saudi-led operation aimed at driving out Houthi rebels. 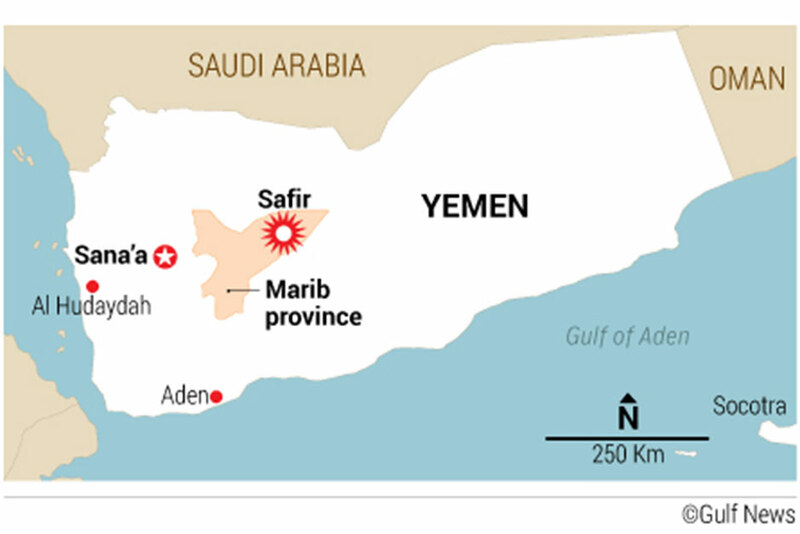 The incident took place at an arms depot at a military base in the eastern province of Marib in central Yemen, near the border with Saudi Arabia. 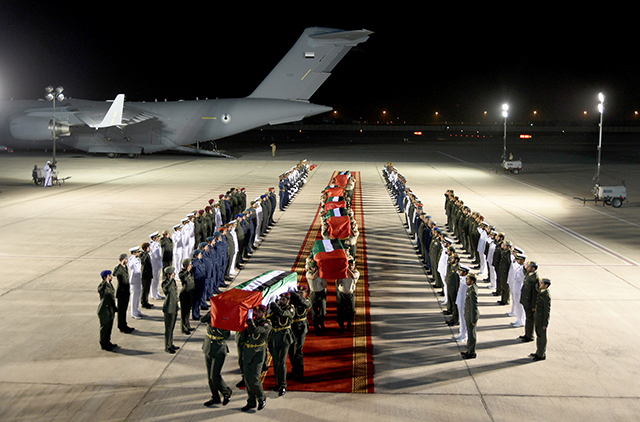 The tragedy occurred after the army depot was targeted by surface to surface missile.